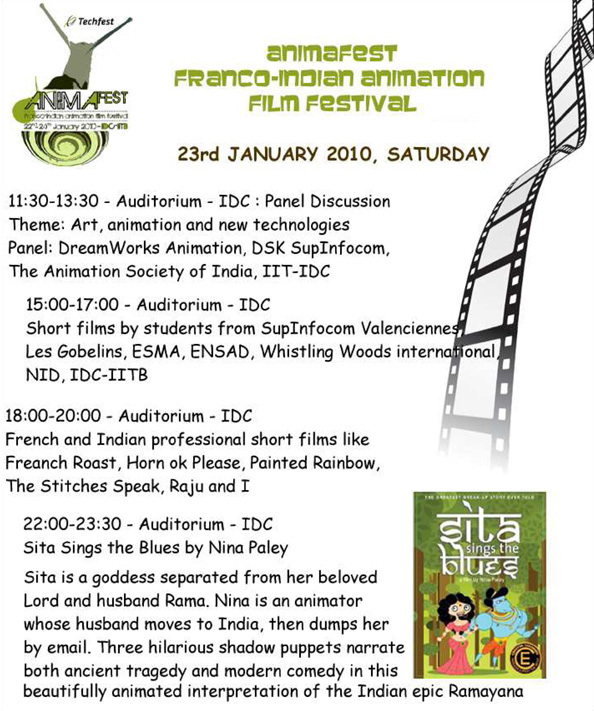 Techfest and the Service for Science and Technology from the Embassy of France in India is organising the first ever AnimaFest, a Franco-Indian Animation Film Festival.  This event will take place from 22nd to 24th January, 2010 at the Industrial Design Centre, Indian Institute of Technology (IIT), Bombay in Powai. 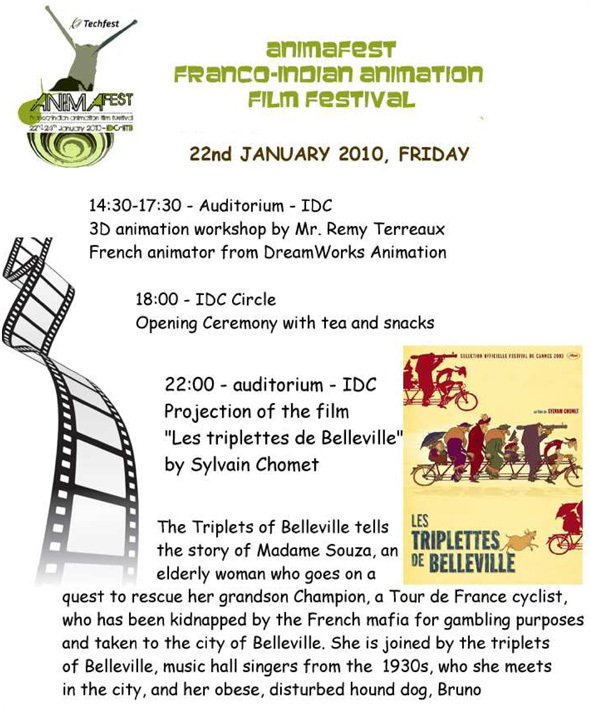 During this three-day event, we will be showcasing French and Indian animation films (short and long) which bring out the unique and often amusing nuances of our two cultures. 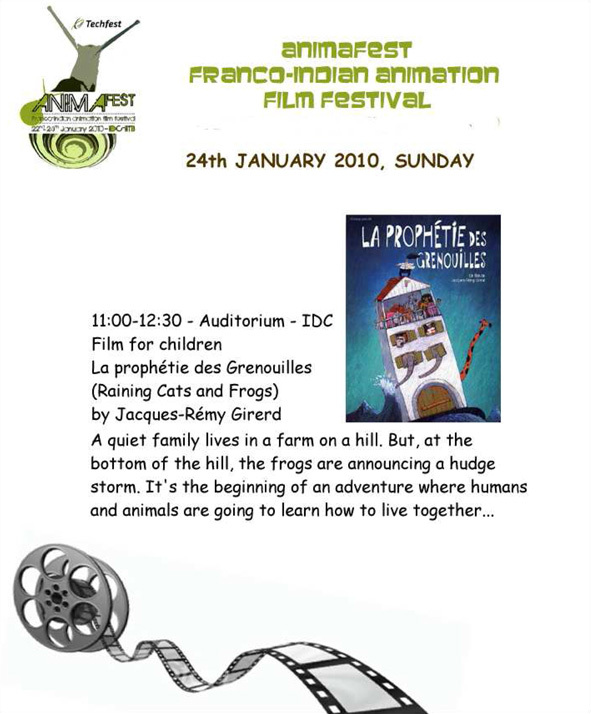 As part of the event, we will also project short animation films made by the young and creative minds of the students of the French and Indian animation schools. 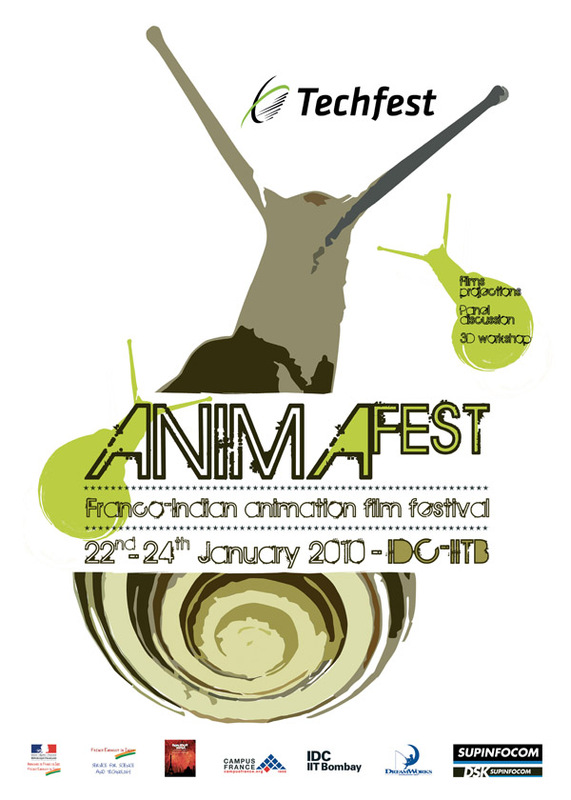 Specialists of animation will also meet for a panel discussion titled Art, Animations and new Technologies .